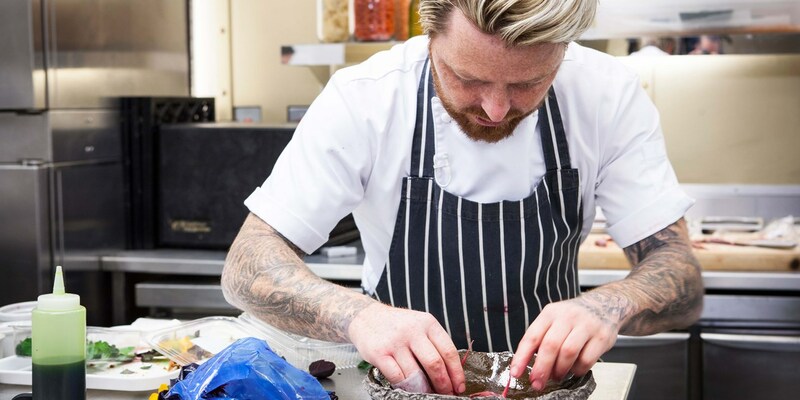 As he gets ready to open his second restaurant through Kickstarter, we talk to the Great British Menu star about how he went from being a tearaway child to one of Northern Ireland’s most promising culinary exports. 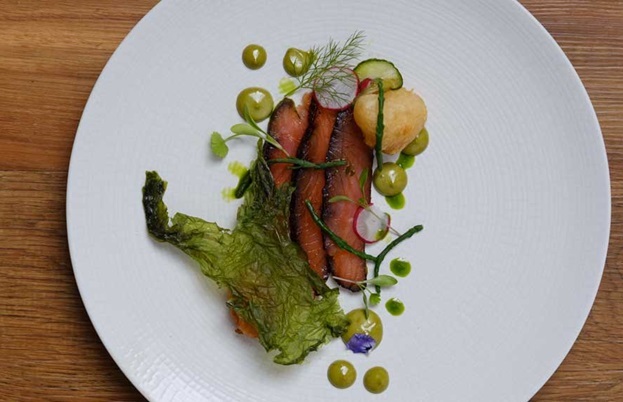 Northern Ireland has a pretty good record when it comes to producing top chefs. There’s Michael Deane, who has conquered Belfast with his various restaurants; Paul Rankin, who won the country its first Michelin star in 1999 and was a regular on Ready Steady Cook; and more recently Clare Smyth, who rose to fame as the head chef of Restaurant Gordon Ramsay, now has her own restaurant Core, and is currently the World’s Best Female Chef according to the World’s 50 Best Restaurants. 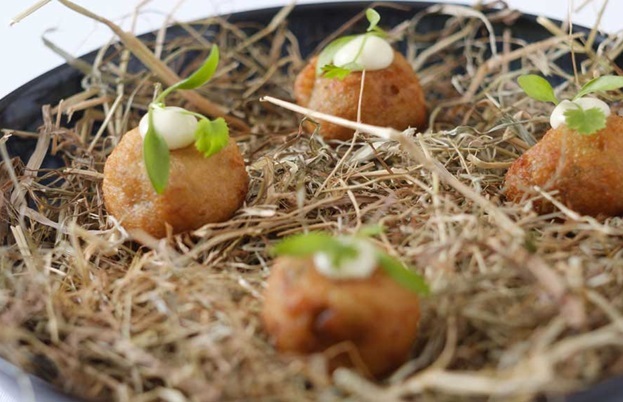 Tommy Heaney, originally from a small town called Crumlin outside of Belfast, is one of the country’s more recent culinary stars. But it was by chance that he discovered his love for cooking. Tommy eventually returned home after a year, coming back via Thailand where he discovered even more new flavours and dishes. Realising there wasn’t much going on in Crumlin’s restaurant scene, he spent a few weeks in London working for Richard Corrigan until he realised he couldn’t afford to live there. He then moved to The Lake District to work for a short while doing large catering jobs, when he and his girlfriend at the time discovered they were going to have a baby. This prompted a move to Cardiff, so they could be closer to her family. Up until this point, Tommy knew he loved cooking and had a real passion for the cheffing lifestyle, but he had always pushed to rise up through the ranks as fast as possible – something he put down to his competitive streak. 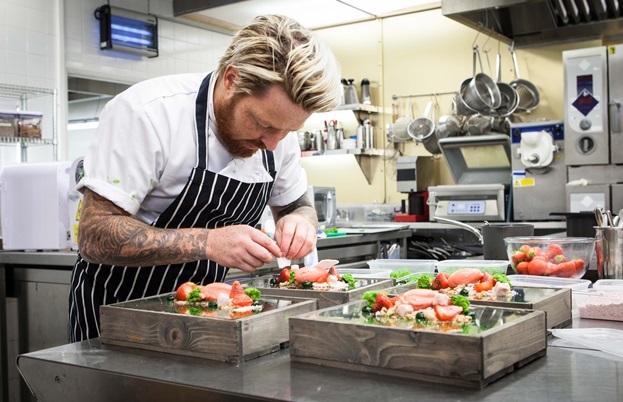 This realisation that he needed to go back and learn the basics properly was a turning point in his career, and he started to develop his own style and approach to cooking, especially when working with chefs such as David Everitt-Matthias. 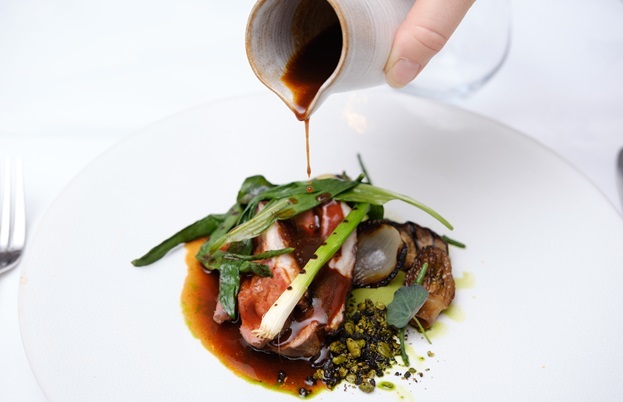 With The Great House now firmly established as Tommy’s flagship restaurant (along with the renovations the restaurant changed its name to Restaurant Tommy Heaney at The Great House), Tommy has his sights on the Welsh capital for his next venture. He already has the keys to the building – located in Pontcanna in Cardiff – and is getting ready to open later this year. This is entirely his own venture, with no outside investment, which is why he has launched a Kickstarter campaign to raise the funds necessary for furniture, an improved bar and marketing. With a series of guest chef nights, the opportunity to create your own ice cream flavour and even the chance to get your initials tattooed on Tommy’s arm (yes, really), it’s already gaining plenty of backers. He may have started life as a naughty kid on the outskirts of Belfast and spent the early part of his career with a lack of direction, but today Tommy is a fantastic chef that knows exactly what his customers want. With appearances on Great British Menu and the beginnings of a mini restaurant empire emerging, he’s certainly got big things ahead of him.